Irish journalists were also questioned about the influence of ownership on their work and the need to protect diversity. 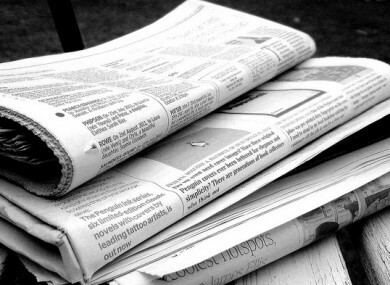 A NEW SURVEY of journalists in Ireland has found that over half do not believe there is adequate diversity in the media sector. The survey is being released by MEP Nessa Childers as part of a conference in Dublin city today on media diversity for journalists, students, academics and political activists. One in five of the journalists surveyed said that the owners of their organisation have an influence on their work, while just over half said that the owners do not directly influence their work. The majority (96.8 per cent) agreed that they have a lot of control over their work. Another 2.2 per cent disagreed and 1.1 per cent neither agreed nor disagreed. The majority of journalists surveyed for the piece write for a national audience (50 per cent), while 47 per cent said they work for local or regional publications. Of the 100 journalists questioned for the survey, 65 per cent were men. Fifty-three per cent said they work in print, 21 per cent work online, and 26 per cent in broadcast media. Three-quarters of the survey respondents said they believe that media diversity in Ireland is at risk due to trends in media ownership, and half (49.5 per cent) said they believe that online media is helping to protect diversity. Almost two out of three people (61.3 per cent) agree strongly that the sector needs regulation to protect diversity in print media. In her introduction to the survey results report, Childers says that pluralism in the media must involve “journalistic and editorial independence” and that there “must be support for high-quality public broadcasting services” while guaranteeing a place for content with a cultural and economic value. Childers also says the the issue of media diversity is being treated “as an important part of the fabric of European democracy” by the European Parliament and Commission, and that the latter set up a high-level group on media pluralism and freedom late last year to see how the EU can enable the freedom and pluralism of the media. Email “Half of Irish journalists do not believe Ireland has adequate media diversity: survey”. Feedback on “Half of Irish journalists do not believe Ireland has adequate media diversity: survey”.